Ranked with 5 stars rating by Morningstar, Vanguard Managed Payout Growth Focus Fund utilizes its assets to buy Vanguard mutual funds and other investments according to an asset allocation strategy designed to provide shareholders with regular cash flow from their investments in the fund. Michael H. Buek is the fund manager. Its expense ratio fee is only 0.22%. There is no sales load. In 2013, it has a total return of 13.24%. This top performing retirement income mutual fund has returned 9.42% over the past 3 year, and 14.99% over the past 5 year. The top 2 funds in its holdings are Vanguard Total Stock Market Index (50.09%) and Vanguard Total International Stock Index (26.42%). You can buy this retirement income fund with $25,000 for your brokerage account. American Century One Choice In Retirement Fund invests most of assets in other American Century’s mutual fund with target allocation for the various asset classes. It invests 45% of its assets in stock funds, 45% of its assets in bond funds, and 10% of its assets in money market funds. This no load fund has total net assets of $574.6 million. The expense ratio fee is 0.77%. The investment style is large blend. This fund of fund has top 2 sectors including technology, and financial services. The top 3 holdings are American Century NT Diversified Bond Instl, American Century NT Large Company Value Instl, and American Century NT Equity Growth Instl. TIAA-CREF Lifecycle Retirement Income Fund has $260 million of assets. Its expense ratio fee is only 0.63%. It is open for new investors. You can buy this retirement income mutual fund with $2,500 initial funding for your brokerage account and $2,000 for individual retirement account (IRA). It has a yield of 2.27%. The fund managers are John Cunniff and Hans L. Erickson. This bronze rated retirement income fund has a 3 year average return of 7.42%. The 3 year beta risk is 0.74. 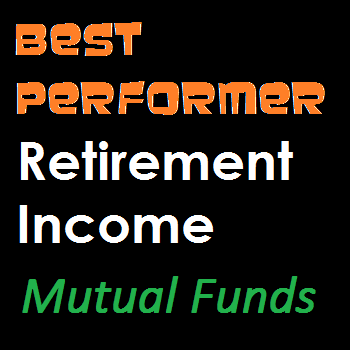 You can buy this best performing retirement income mutual fund 2013 from 15 brokerages. Some of them are TIAA-CREF NTF, Vanguard, Pershing FundCenter, etc.